645... Sorry you took umbrage to my response, but you didn't really indicate your interest in Penn Central or Amtrak in you post. I would have responded differently. You are quite right to want spend your money as you see fit. I never questioned or challenged that. I gasped when I saw the price of these sets, but I'm also familiar with 3rd Rail and reasoned they will be well worth the value. Plus, I'm pretty sure I'll have the time to set away funds on a weekly basis to cover most or all of the cost by the time the sets are released. Using the lead time in this manner has worked well for me in the past. 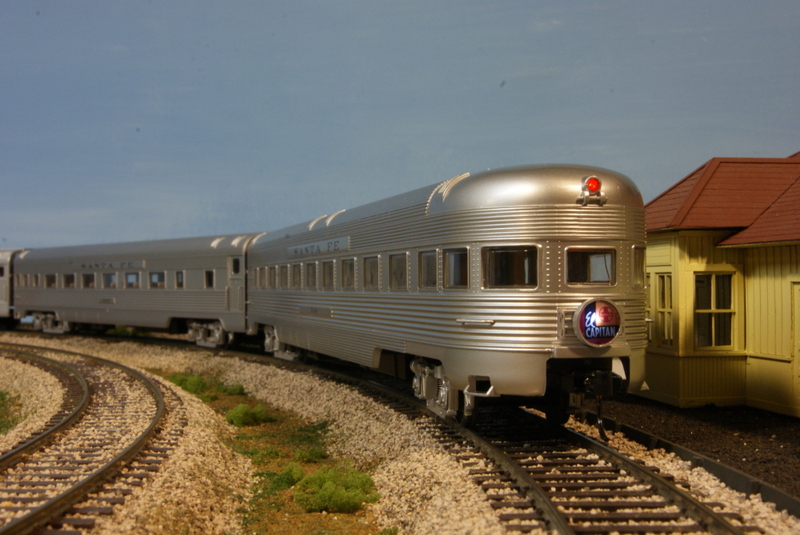 I consider my modeling to be primarily late 50's-early 60's, so this will also give me a reasonable example of the the Super Chief, even though it wasn't run with these specific cars as a dedicated trainset by that time. At least it'll be far more accurate than my El Capitan, which looks suspiciously like the Empire State Express with Santa Fe lettering and 71' cars.